At IFA in Berlin, we're showing how our personal health innovations can make life better. With our SmartSleep solution you're more likely to feel energized during the day. Our smart blender and app system gives personalized advice that helps you to achieve your healthy living goals. With Sonicare teledentistry solutions you have a convenient and reliable way to make informed decisions on a treatment plan for your oral health. S9000 Prestige. The world's closest electric shave. Uncompromised skin comfort. Philips Hue. The world’s most connected lighting system for your home. Easy to set up and expand. LatteGo. Aromatic coffee varieties from fresh beans made easy. Pregnancy+ by Philips Avent, everything you need in one app to provide support and guidance through all stages of pregnancy. 2017 was a good year for Philips as we advanced our transformation, driving customer focus and innovation to improve the lives of billions of people around the globe. Find out more in our Annual Report 2017, which contains all the information you need on our financial, social and environmental performance over the past year. Even with COPD, there's always a way to #makelifebetter. Through education, engagement, and empowerment we can help those affected by the disease live a fulfilling life. As well as rewarding our customers, we're inviting you to help shape the good causes we support. At Philips, we believe that concerns about your health shouldn’t hold you back in life. Discover the remarkable story of Keith Hart, a 45-year-old software engineer with a dream he was worried his health could hold back. Watch how he improved his health habits in only 6 weeks to give the performance of a lifetime. Last year, 17.5 million people died of cardiovascular disease – a staggering number, which is why Philips is on a mission to do something about it. This year, to mark World Heart Day, we are raising awareness of the vital, incomparable importance of heart health, and letting you know how to take better care of your heart. Visit MyHeartIsUnique.com to learn more about the steps you can take to keep your heart healthy and strong. Is the world ready for integrated care? With growing, aging populations and a rise of chronic diseases, the world is facing imminent healthcare challenges. 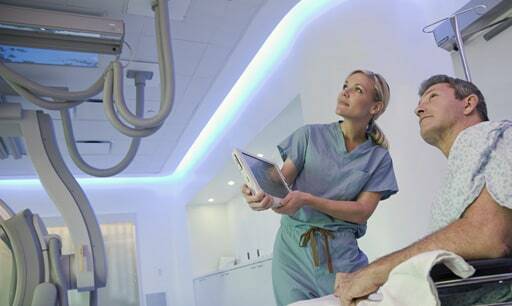 The new Future Health Index, an international research commissioned by Philips, reveals perceptions of access and integration of healthcare systems, and adoption of connected care technology to determine how prepared the world is to meet the new healthcare needs.